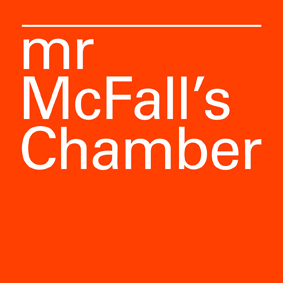 Mr McFall’s Chamber was formed in Scotland in 1996 with the ambition of creating new music and surprising programme combinations to draw together entirely new audiences. By and large the group has tried to make its programmes accessible and, at the same time, full of experimentation. Concerts are intimate and fun, delivered with a lightness of touch and quiet sense of humour. The group has worked with many creative musicians and composers from classical, traditional, jazz and popular backgrounds including Chilean singer Valentina Montoya Martinez, with whom the group collaborated on the album ‘La Pasionaria’, Scots music icon Michael Marra, as represented by the album ‘Michael Marra with Mr McFall’s Chamber’ and folk innovator Martyn Bennett, whose music features on ‘Birds and Beasts’. All recorded and released on Delphian Records. Mr McFall’s Chamber regularly commissions new music from established composers and also provides a wide range of support for emerging artists. Recent commissions include classical composers Gavin Bryars and Joel Rust, jazz artists Tim Garland, Paul Harrison and Martin Kershaw, and many Scottish traditional musicians including Aidan O’Rourke and Fraser Fifield. The group tours city and rural venues in Scotland each year plus makes appearances at sound festival in Aberdeenshire, The Cottier Chamber Project in Glasgow, Queen Elizabeth Hall in London and, in 2014, for the Glasgow Commonwealth Festival. Its annual popular Electronics workshops provide emerging artists with the opportunity to develop their professional practice and the group is proud to be the house-band and mentors for Hands Up For Trad’s excellent Distil showcases.